The Third Battle of Kharkov was a series of offensive operations on the Eastern Front of World War II, undertaken by the German Army Group South against the Red Army, around the city of Kharkov (Russian: Харьков; Ukrainian: Харків), between 19 February and 15 March 1943. Known to the Germans as the Donets Campaign, and to the Soviets as the Donbas and Kharkov operations, the German counterstrike led to the destruction of approximately 52 Soviet divisions and the recapture of the cities of Kharkov and Belgorod. As the German Sixth Army was encircled in Stalingrad, the Red Army undertook a series of wider offensives against the rest of Army Group South. These culminated on 2 January 1943, when the Soviets launched Operation Star, which between January and early February broke German defenses and led to the Soviet recapture of Kharkov, Belgorod and Kursk. 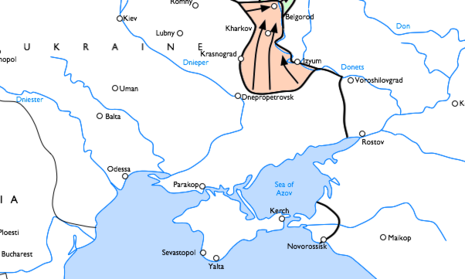 The Soviet offensive was successful, but caused participating Soviet units to over-extend themselves. Freed on 2 February by the surrender of the German Sixth Army, the Red Army's Central Front turned its attention west and on 25 February expanded its offensive against both Army Group South and Army Group Center. However, months of continuous operations had taken a heavy toll on the Soviets and some divisions were reduced to 1,000–2,000 combat effective soldiers. 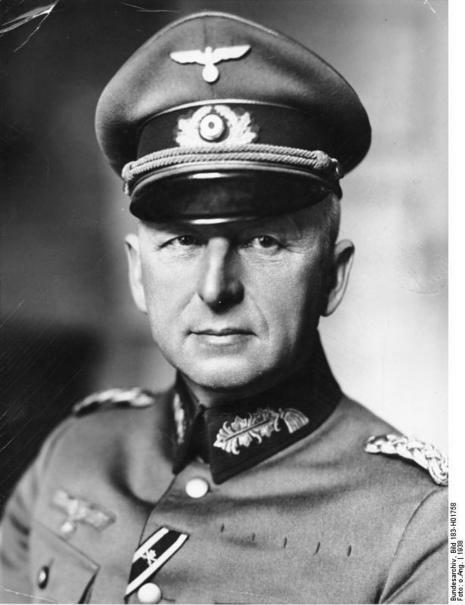 On 19 February, Field Marshal Erich von Manstein took the opportunity to launch his Kharkov counterstrike, using the fresh SS Panzer Corps and two panzer armies. Although the Germans were also understrength, the Wehrmacht successfully flanked, encircled and defeated the Red Army's armored spearheads south of Kharkov. This enabled von Manstein to renew his offensive against the city of Kharkov proper, which began on 7 March. 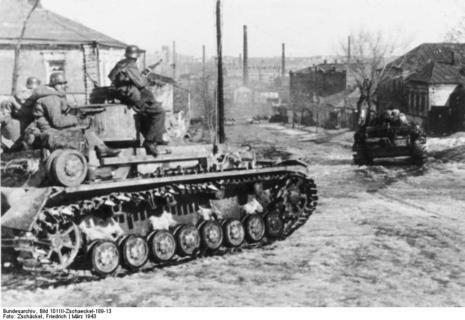 Despite orders to encircle Kharkov from the north, the SS Panzer Corps instead decided to directly engage Kharkov on 11 March. 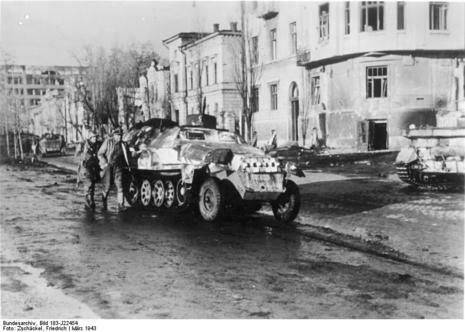 This led to four days of house-to-house fighting before Kharkov was finally recaptured by the 1st SS Panzer ("Leibstandarte") Division on 15 March. Two days later, the Germans also recaptured Belgorod, creating the salient which in July 1943 would lead to the Battle of Kursk. 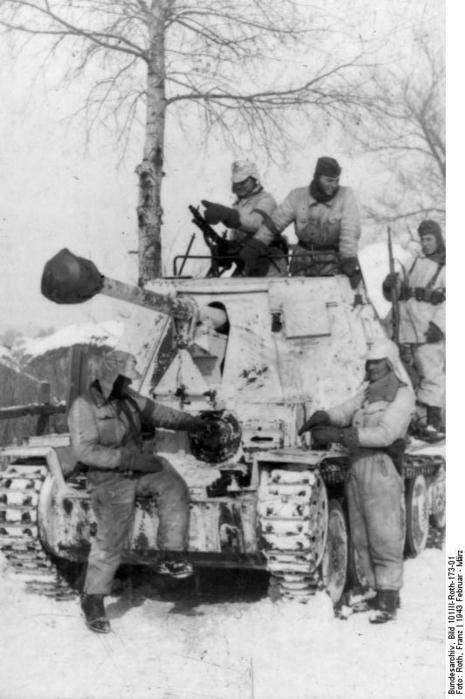 The German offensive cost the Red Army an estimated 70,000 casualties but the house-to-house fighting in Kharkov was also particularly bloody for the German SS Panzer Corps, which had lost approximately 44% of its strength by the time operations ended in late March. fter the victory at Stalingrad, the Soviet army remained on the offensive, liberating most of the Ukraine, and virtually all of Russia and eastern Belorussia during 1943. In the summer of 1943 at Kursk, in Russia, the Germans attempted one more offensive, but were badly beaten by the Soviet army in what is now considered the military turning point on the eastern front. In the summer of 1944, the Soviets launched another major offensive, which liberated the rest of Belorussia and the Ukraine, most of the Baltic states, and eastern Poland from Nazi rule. By August 1944, Soviet troops had crossed the German border into East Prussia. In January 1945, a new offensive brought Soviet forces to the Oder River, in Germany proper, about 100 miles from Berlin.